You’re my Lemmy in the closet, baby. I mean, like. We all knew Lemmy, despite his amazingness, was a living thing, and therefore would one day cease to live. But it was still a shock to read of his death today — almost as much of a shock to read that he was 70. And while of course his main legacy is Motörhead, his muppet-like appearance and gruff voice made him an absolute treasure as a personality. 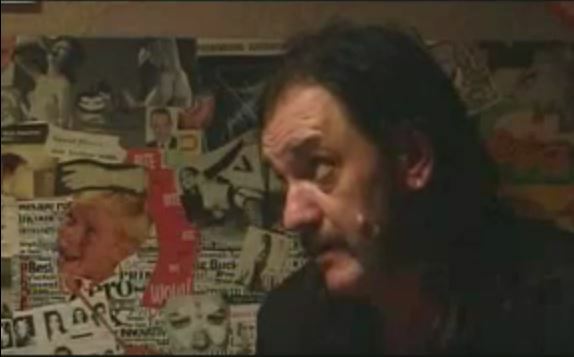 The Lemmy I’ll always remember is the Lemmy from Down and Out with the Dolls (2003 in the U.S.), a scrappy movie about a messy band that lived together in one big house and basically screwed up everything ever. But it wasn’t just the four women living there; the lead singer had a lodger living in her closet. Posted in Dearly Departed, Down and Out With the Dolls, Wait...Did That Really Happen?